Jamaica weather forecast at 5am Friday, February 1, 2019 by the Meteorological Service Division. Comment… The Trough lingers across Jamaica for another few days. 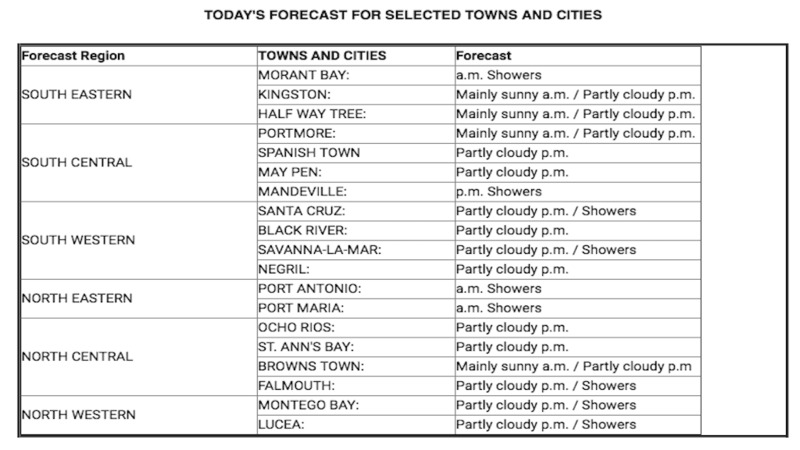 This Morning… Partly cloudy with possible showers across eastern parishes, otherwise mainly sunny. This Afternoon… Partly cloudy with possible showers across hilly inland areas.